Holley Performance Products has been the undisputed leader in fuel systems for over 100 years. Holley carburetors have powered every NASCAR Sprint Cup team and nearly every NHRA ProStock champion for four decades. 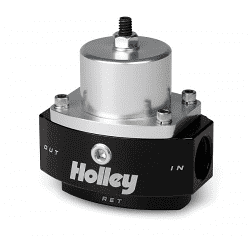 Holley's products include performance fuel pumps, fuel injection, intake manifolds, & engine dressup products. As a single solution, or partnered with products from other Holley brands we can give you the edge you need over the competition.